Here at Dale Willey Honda in Lawrence, our team loves Kansas University! From supporting students to cheering for the Jayhawks, we’re proud to be located just down the street from such an exceptional university. If you’re proud to wear crimson and blue, then our team is here to help you get behind the wheel of a great new Honda. Whether you’re living on campus or commuting, we have the stylish, comfortable vehicle you need for the road ahead. Even better, we have the Honda specials that Lawrence students need to help a new car fit neatly into their budgets. Whether you’re after a great new car to drive throughout college or you’re searching for the perfect ride to hop into after graduation when you drive off into the “real world,” we’re here to help you find the perfect fit! You study hard, and you deserve a car that you can feel good about. Ready to hear the sound of a new set of keys on your keychain? 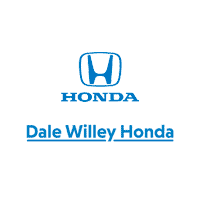 Come and see the Dale Willey Honda team today! Simply contact us online or give us a call at 785-843-0550. We’re always here to help our Jayhawks!